Hi! I'm Jackie and thanks for stopping by! 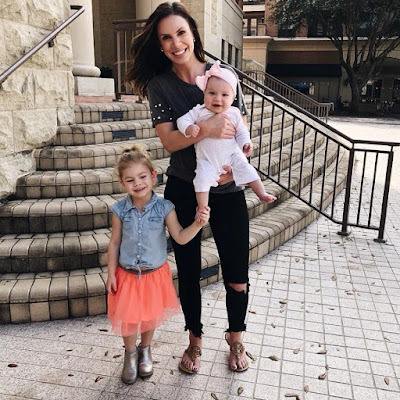 I'm a wife and mom of two little girls, Londyn and Maddyn. I'm a nurse turned stay at home mom fueled on coffee and a good glass of wine. I was born and raised outside of Houston, Texas and my faith in Christ and my family are the foundations of my life. If you share my love of fashion, beauty, fitness and a good sale, then you have come to the right place. Disclaimer:Loving Londyn is a part of several affiliate advertising programs. If you click and/or make a purchase through certain links on this site or any related social media platforms, I may make a commission from it. I will always disclose if the post is sponsored. As always, all opinions are honest and my own.